In the Philippines, NMAT is a mandatory exam and an essential prerequisite for admission to medical schools. While a lot of information is available online, first-timers can still find it a bit confusing. So to prevent you from wasting hours surfing the Internet, I’ve compiled everything you need to know about the NMAT in one concise guide. Who can take the NMAT? What is the coverage of the NMAT exam? 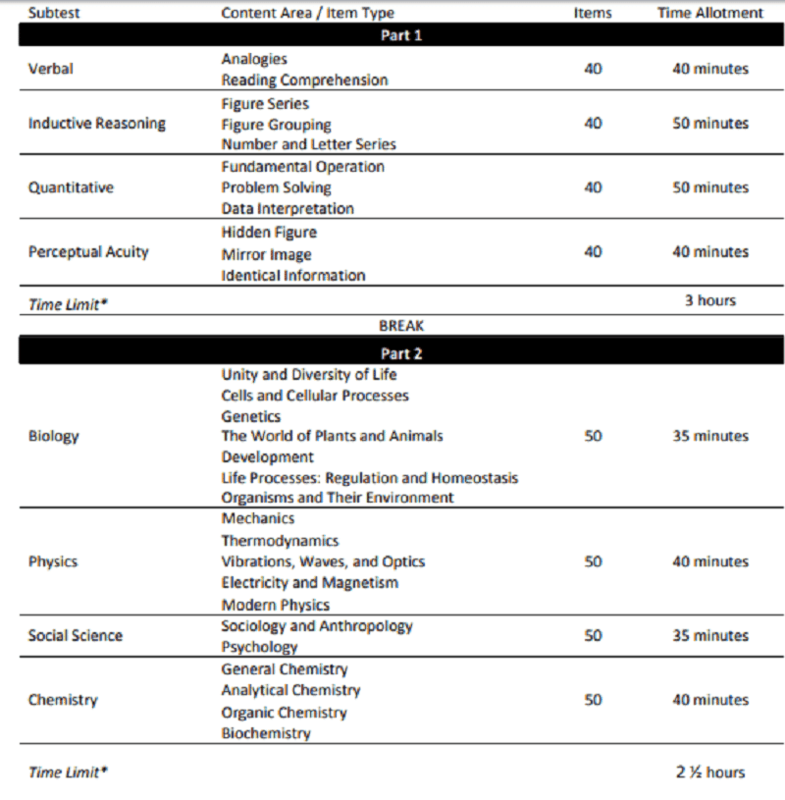 How does the NMAT scoring system work? 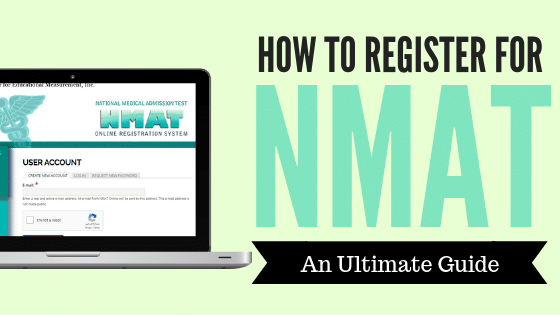 How to Register for the NMAT: 5 steps. 2. Fill up the NMAT application form. 3. Pay the required NMAT application fee. 4. Print a copy of your NMAT examination permit. NMAT or National Medical Admission Test is a nationwide standardized test for aspiring medical students given twice a year both here in the Philippines and abroad. Its goal is to measure the mental preparedness of students in handling the academic demands of medical schools. It screens applicants with the hopes of upgrading the medical education and ultimately the medical profession in the country. Since 1985, the Center for Educational Measurement, Inc. (CEM) has been appointed to administer the NMAT exam. CEM ensures both the reliability of the test and confidentiality of its results. NMAT is like your normal IQ test although the subjects included are mostly sciences. It’s the Philippine counterpart of the United States’ MCAT. The latter is considered more difficult so if you aced it then you will more likely get a high NMAT score as well. NMAT scores are only valid for two years. In case it expires and you’ve finally decided to become a doctor, you’re free to take the NMAT again. Applicants must either be graduates or graduating students (by the end of the current school year) of any college (Bachelor’s) degree program at the time of testing. Foreigners are also welcome to apply. Your GPA will be converted to the Philippine equivalent should you get admitted to any medical school in the Philippines. If you’re in the US, there are NMAT testing centers assigned either in Las Vegas or Los Angeles where you can take the exam. Students who are currently enrolled in the UP College of Medicine Integrated Liberal Arts and Medicine (INTARMED) may also take the NMAT on their sophomore year. The Intarmed is a special program by UP that handpicks some of the best UPCAT passers to complete a 7-year medical program straight from high school. Part I of NMAT consists of 200 questions that you should answer within 3 hours. It will test your mental ability and is comprised of four subtests or aptitudes believed to have a correlation with a student’s performance in medical school. Verbal – consists of word analogies and reading comprehension. This subtest will test your ability to analyze and do verbal or inferential reasoning. For reading comprehension, written passages may come from a variety of sources like medical journals, books on philosophy, and literary works. Inductive reasoning – measures induction or your ability to draw conclusions or perceive relationships despite the absence of complete information. Items may feature numbers, letters, figural grouping, and figural series. Quantitative – tests your ability to apply basic math concepts to solve word problems. The questions in this subtest are of three types: data interpretation, problem-solving, or fundamental operation/direct computation. Perceptual Acuity – a subtest consisting of a visual type of questions in the form of mirror image, hidden figure, and identical information. Your task is to find solutions by eliminating distractions, analyzing relationships, and focusing on relevant details. Part II of the exam, on the other hand, is conducted in the afternoon after a 1-hour lunch break. It consists of 200 items answerable within 2 hours and 30 minutes. While the first part tests your mental ability, the second part gauges your proficiency in subjects deemed essential in preparing for a medical course. Questions come from the basic concepts included in the curriculum taught in various pre-med courses. Social Science, for example, includes items about sociology, anthropology, and psychology. The second part of the NMAT tests the student’s complex mental abilities like understanding, applying, analyzing, evaluating, and synthesizing. Each NMAT subtest will generate a score. The scores for all subtests will then be combined to produce your General Performance Score (GPS). Now, this is when NMAT differentiates itself from other exams. Unlike traditional exams where the results are more straightforward (e.g., 85% means you got 85% of the questions right), NMAT reports the score as a percentile rank ranging from 1 to 99+. Therefore, if you get an NMAT score of 85, it doesn’t mean you got 85% of the questions right. Rather, it indicates how you’re ranked compared to the rest of the examinees. So if you got 85, it means you scored higher than 85% of the examinees while 15% scored higher than you. The use of percentile ranking in scoring NMAT may or may not work in your favor, depending on how brilliant your batch is. For example, if you got 95% of the questions right but all the other examinees got perfect scores, your NMAT score/rank will be 1. Also, there’s no NMAT “passing score.” It depends on the medical school you’ll be applying for. Top schools like UP, UST, and UERM, for instance, each has its own NMAT cutoff score. 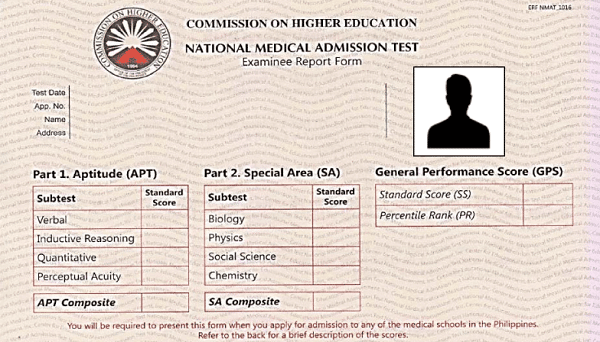 The cutoff score is the minimum NMAT score required to qualify for a medical school. So if the medical school has a cutoff score of 95, those who scored lower than that will not be allowed to apply. NMAT test results are released 20 business days from the test date. You can access the electronic copy via the CEM website. The printed form or the Examinee Report Form which is what medical schools require will be available for pick-up at the testing center indicated on your NMAT application form, approximately 4 to 6 weeks after the test date. If you choose to have it delivered, expect to receive it from the courier approximately 4-7 days for NCR and 7-14 days in the provinces. For those who will not be able to receive it personally, ensure your representative have your signed authorization letter, 2 valid IDs (of your representative), and a photocopy of your valid ID. In case you fail to receive your Examinee Report Form (ERF) after the scheduled release, please contact the NMAT Secretariat. Regular NMAT is administered usually in March or April. It is chosen by students who are already decided to enroll in medical school the following school year. Backup testing, on the other hand, is given in October or November, ideal for those who can’t take the regular schedule either because they’re reviewing for a board exam or they want to prepare well for the NMAT. a. A stable Internet for your online registration. For faster transaction, use Google Chrome as your web browser. If you encounter technical issues, please contact CEM via e-mail (nmat@cem-inc.org.ph) or phone: (02) 813-3686, 813-3691, 813-3694, locals 106, 101, 108.
b. A valid e-mail account which you’ll use for the online application. c. Valid school or government-issued ID for local applicants or valid passport for foreign applicants or those taking the NMAT in foreign test centers. No name tag or label. Recent photo/taken within the last 6 months. Photo dimensions should be a minimum of 600 pixels x 600 pixels (height x width) and maximum of 1200 pixels x 1200 pixels (height x width). Head (from top of head to bottom of chin) must be 50% to 70% of the photo’s total height. Meanwhile, the eye height (from the bottom of the photo to the level of your eyes) must be 2/3 (55% to 70%) of the total photo height. File size equal to or less than 2 MB. File format: JPG or PNG. Selfies or improper/informal poses are not allowed. Ensure that all information you enter is correct. Use your exact name as it appears on your valid ID. You may not be allowed to take the NMAT on the day of the exam if there are discrepancies found between the name on your valid ID and your NMAT ID form. After accomplishing the application form, you may now fill up the Student Information Questionnaire (SIQ) online. You can choose between two modes of payment: credit card or over-the-counter bank transaction. For foreign applicants who will take the exam abroad, credit card payment is the only mode accepted/available. To make the payment via over-the-counter bank deposit, go to the nearest BPI (Bank of the Philippine Islands) branch and fill up the Deposit/Payment slip using the payment amount, bank reference numbers, and CEM BPI account number provided on your NMAT ID form. Keep the deposit slip for verification purposes. If you choose credit card payment, you will be redirected to the BPI SecurePay web page where you can make the online payment as instructed. Once the payment is received, you’ll receive an e-mail confirmation message. In case you don’t receive one, check your SPAM folder or mailbox or contact the NMAT Secretariat. Please be reminded that credit card and over-the-counter bank deposit are the only modes of payment accepted. Applicants won’t be officially registered or qualified to take NMAT until they pay the testing fee. The test fee is non-refundable after the registration period. In case you change your mind and choose to request for a refund, you may do so as long as it’s within the registration period. You may send the letter of request via e-mail. If approved, you will only be entitled to receive 90% refund of your test fees. Two weeks before the exam, check the CEM website and click the link for Room Assignment to know both the test site where you’re assigned as well as your room assignment. 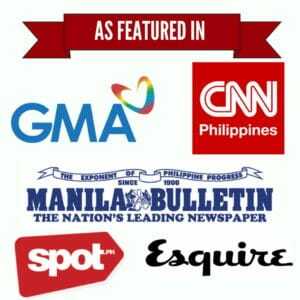 Download and print your NMAT examination permit. Bring it on the day of the examination. In case your application number doesn’t appear on the list, please contact the NMAT Secretariat at (02) 813-3686, 813-3691, 813-3694, 813-3695, and 892-1682 loc 108.